Fitbit wants to keep your fitness trackers from ending up in a drawer after a few months of use. The company added two new devices to its tracker lineup on Monday: the notification-rich Charge 2 ($149) and the swim-proof Flex 2 ($99). The models -- sleeker and smarter than previous versions -- can be dressed up or down based on the occasion. In the Flex 2's case, you can even leave it on for laps in the pool or while taking a shower (it's about time). 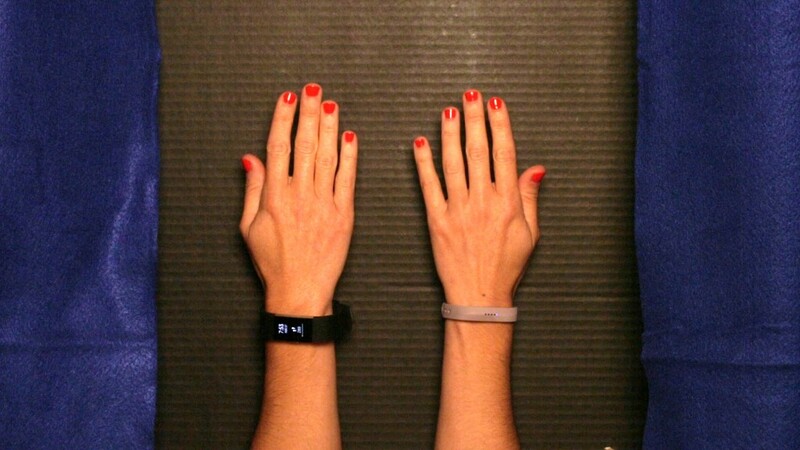 But the overall message for both is clear: Fitbit (FIT) never wants you to take them off. While the devices aren't revolutionizing the tracking industry, each iteration is undoubtedly a step forward. And true to its mission, the updates make it harder for you to tire of them -- one of the biggest challenges companies like Fitbit face. Fitbit will eventually phase out its existing Charge HR and Flex trackers in favor of these new models -- which launch in September and October, respectively -- but the price tag will remain the same (pre-orders are available now). The good news is you'll now get more colorful options to choose from, along with some decent accessories, and far more advanced capabilities. 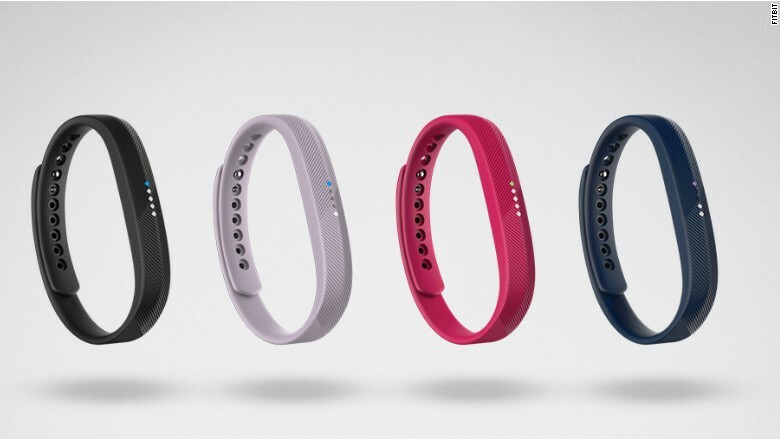 The Charge 2 is Fitbit's go-to tracker for more than just casually monitoring steps. It pushes real-time updates like calories burned and your heart rate data directly to your wrist, as well as call, text and calendar alerts (the Charge and Charge HR only offered call notifications). It's a solid way to see everything you need without constantly pulling out your smartphone and checking the Fitbit app for stats. The black-and-white display is four times bigger than the previous model, but you can't compare it to some of the higher-end, more colorful smartwatches on the market. There's still no touchscreen either. Then again, this option -- not quite a smartwatch -- is a solid $200 cheaper. The Charge 2 includes built-in auto-tracking so it knows when you're out for a walk, running or doing yoga versus riding a bike or lifting weights. Meanwhile, a new interval workout feature guides you through high-intensity exercises and rest periods -- a solid feature for those interested in circuit training or personalized boot camps. But in many ways, the Charge 2 is playing catchup to features already on other devices. For example, it now has a baked in Relax app that takes you through breathing exercises to clear your mind and reduce stress. You'll also find connected GPS capabilities that pairs with your smartphone for mapping out running routes -- another feature available on competing trackers. The same goes for the gentle reminders to move after you've been sedentary for a bit. Perhaps the most unique new feature is one that calculates your fitness score based on your VO2 max, a measurement of how your body uses oxygen while you're working out. It's often considered the gold standard of revealing your overall fitness health. 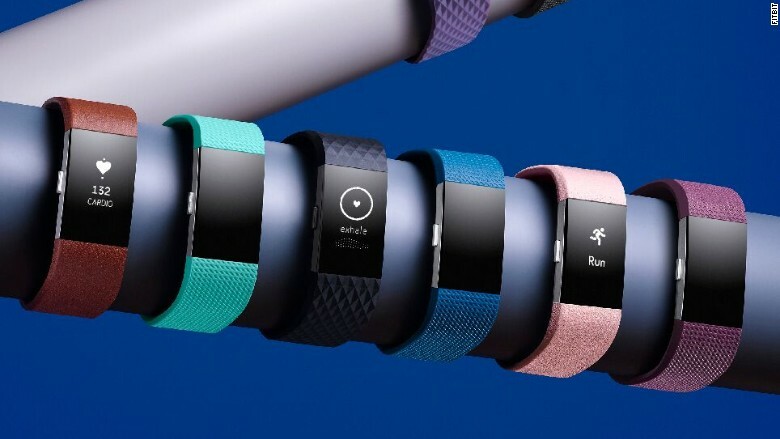 You'd typically have to go into a lab determine your score, but Fitbit estimates this by looking at your user profile data, heart rate and exercise details. It also contextualizes the data so you can see how you stack up to those of the same gender and age group, and provides feedback on how to improve your score, like suggesting you increase workout intensity and frequency by a specific amount. For those looking to pay less than $100 for a fitness tracker, the Flex 2 is unmatched. 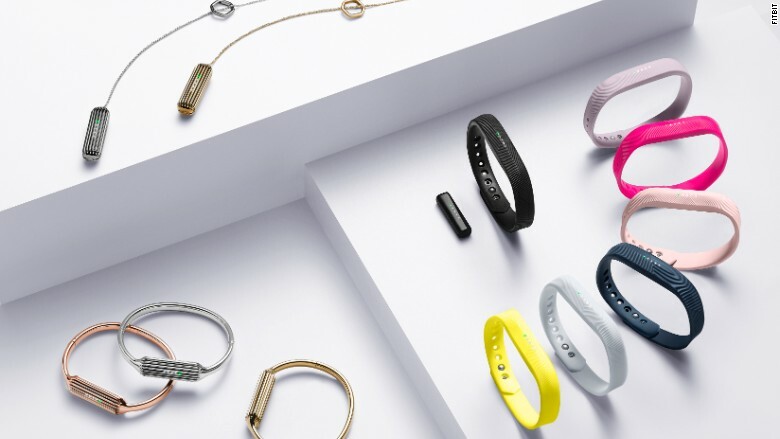 Similar to the original Flex -- a game changer for wearables when it debuted in 2013 -- the sensor pops out of the band and can be inserted into other styles, including bracelets and necklaces. Now, it's 30% slimmer and can handle dunks in the pool or ocean (up to 50 feet). 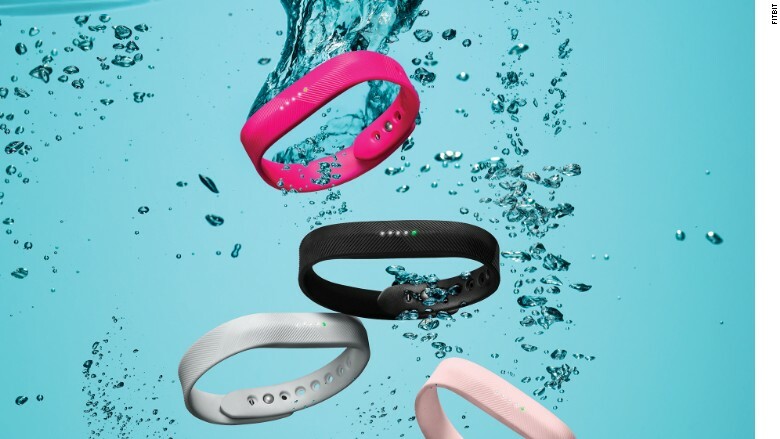 It's also Fitbit's first true swim tracker, allowing users to track laps, distance, calories burned and duration. Although the Flex 2 tries to differentiate itself with new bells and whistles, it falls short in some ways. For example, the device includes a series of LED lights at the top of the band which send out color-coded notifications and unique vibrations. While this is smart in theory, it's confusing in practice. Blue lights signal text and call notifications, while purple is a reminder to move. A flash of green means you've hit your goal for the day and yellow is associated with the silent alarm. Sure, you might learn these colors over time, but in the first five days of testing, it was hard to keep track. The Flex 2 isn't as smart as the Charge 2 and with no heart-rate tracker, it doesn't give a full picture of your overall health. Plus, you'll need to keep your phone close for activity updates. The device comes with seven sporty bands, from vibrant yellow to subtle pink, but you can buy add-on bands and accessories. 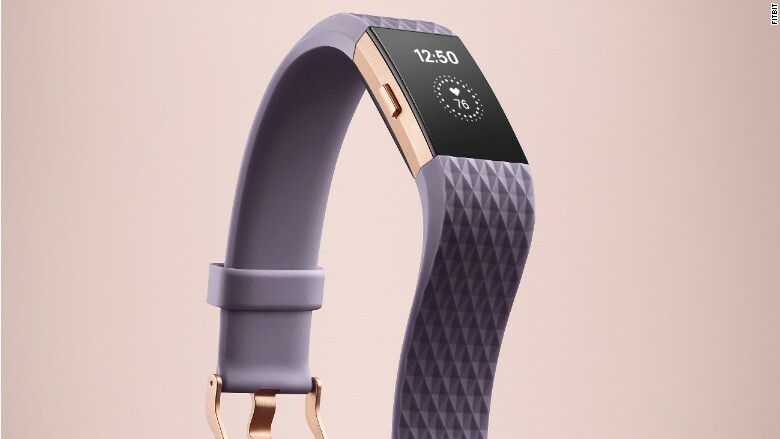 Fitbit is continuing its partnership with Tory Burch and adding one with Vera Wang. If you're already a Fitbit owner and don't want to splurge for an upgrade, the company will push out a software update in the near future. The Fitbit Blaze will support notifications from third-party apps like Gmail, Facebook, Instagram, Twitter, Slack, Snapchat and others. New bands will also be available for the Blaze and fashion-forward Alta tracker this fall.